The object of Football Fans is to obtain a winning symbol combination by spinning the reels. 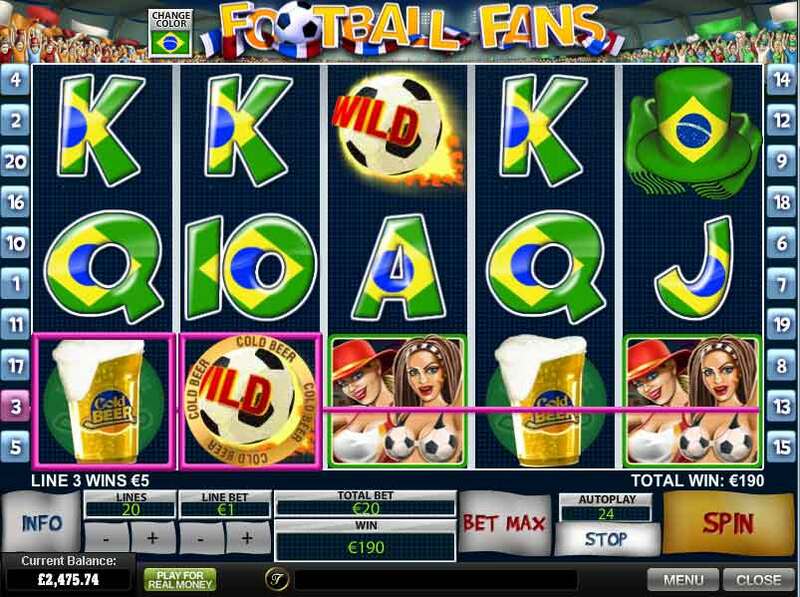 This new football themed video slot from PLaytech has been released in time for the end of the 2012 footy season and ready for all the finals and the UEFA European Championships. It is a real fun game with great cartoon animation. Choose your team colours and spin the reels to win FREE SPINS and enter the great bonus game.